Description: This huge white flowering Clematis is sure to win your heart. Its flowers have unique wavy petals and creamy stamens. Bloom Time: Spring and fall. Exposure: Pt. shade. Filtered or morning sun. Pruning: Cut to 2' in January, then again by half after each bloom cycle. Dead-head to keep clean and tidy. 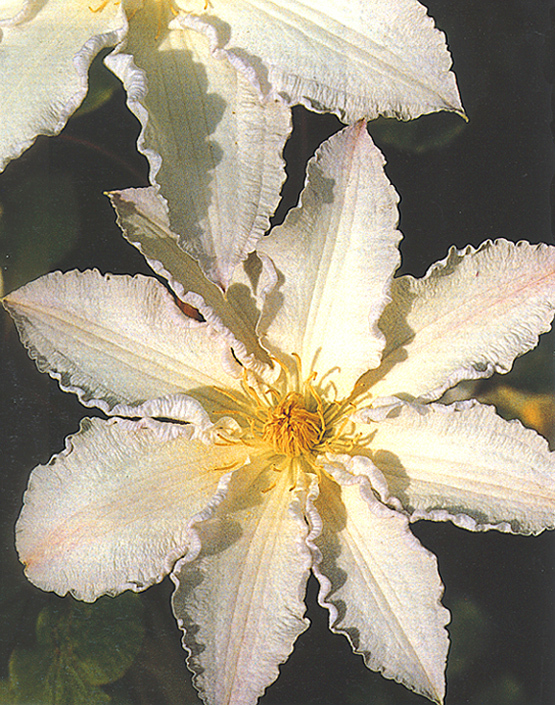 Click HERE to return to our Clematis page.